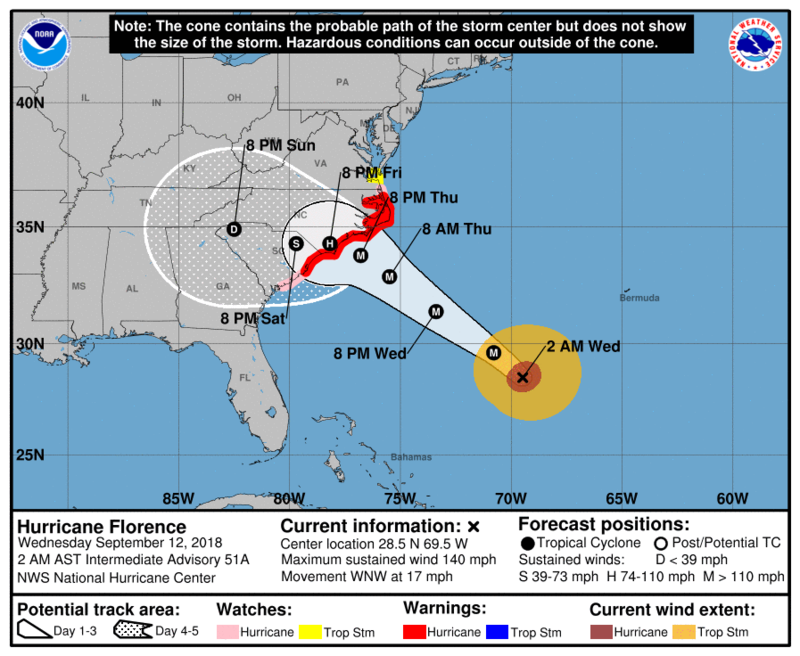 This is a special extra episode on the upcoming landfall of Hurricane Florence which will impact the U.S. East Coast in the region of North and South Carolina sometime Friday, September 14, 2018. We brought on disaster weather expert Becky DePodwin to talk about the weather outlook and potential hazards from the storm. Sam relayed an update from a conversation she had with Dr. Joe Holley who is deployed with the IST (Incident Support Team) to a forward location east of Raleigh, NC. He and the other federal assets are getting in position to assist state and local authorities and responders when the areas of greatest need are identified after landfall. Stay tuned to the Disaster Podcast site and to our Facebook Group for more information and updates as the storm progresses.